Owners of Elegant Limousines Mike & Marlo Denning believe in what made this country great, hard work and dedication to what we love. If you are looking for that personal touch that gets lost when dealing with big business then Elegant Limousines Family Business is the Daytona Beach Limo Service for you. Hard working Americans and small family business is how this country became the greatest place in the world. We are keeping that dream alive, help us do the same by giving Mike & Marlo at Elegant Limousines a chance to show you why we do what we do. 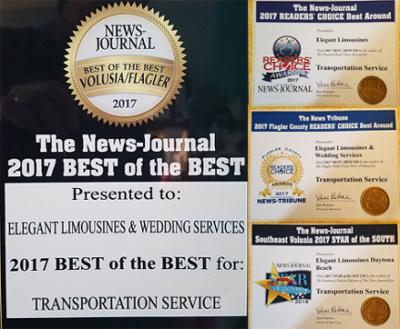 Elegant Limousines Has Been Voted Best Limousine Service 5 Years in a Row! At The International Limo Show In Las Vegas ! Elegant Limousines Fleet of Limos in Daytona Beach includes. A 20 Passenger Excursion Limo, 9 Passenger Hot Pink Chrysler 300 Limos 10 Passenger Dodge Charger Limo With a Jet Door and our Brand New 10 passenger Transit High top Sprinter with Limo seating! Recently we added our 23 passenger Luxury Coach Bus to the Fleet. 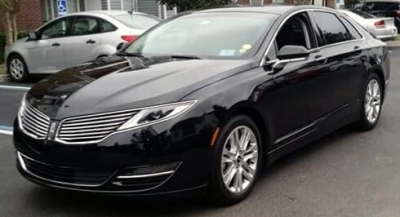 We also offer Corporate Luxury Lincoln Town Car Sedans and SUV's. Elegant Limousines has the vehicles to handle all of your Palm Coast & Daytona Beach Limo Service needs. Call Elegant Limousines and experience first hand the personal touch that goes into each and every Palm Coast and Daytona Limo Service reservation. Owners Mike & Marlo Denning would like to thank you for taking the time to view our website, we look forward to hearing from you so we may create your memory to last a lifetime. The Limousine industry has come a long way since the early days of Limo service . It use to be people only thought of limousines when associating them with weddings. We at Elegant Limousines Palm Coast and Daytona Limo Service are here to show you Limos are not just for weddings anymore. Surprise your best friend with a night out on the town in Daytona Beach, go see the Jaguars play in Jacksonville or reserve one of our Daytona Limos to take you to The Daytona 500 or The Event of the summer in Daytona Beach The Coke Zero 400 . Do it in style in our 20 Passenger Excursion Limo. Before my wife and I started our Daytona Limousine Business we never thought of all the wonderful services a Limousine service has to offer. You could take that special someone out in a white Limousine with red carpet service. Our Sweet Heart Package is perfect for couples night out. Limo Service in Daytona makes for a perfect night. 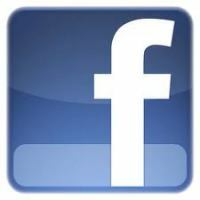 So call Elegant Limousines Palm Coast and Daytona Limo Service and let's see how we can make your event even better. Elegant Limousines of Palm Coast is a Family Owned Limo Service. Providing luxury Limos in Palm Coast and 5 Star Limos in Daytona Beach. Elegant Limousines Palm Coast and Daytona Beach Limo Service started out as a small one limo operation in Palm Coast. Through hard work and dedication we have grown in our Palm Coast community. Residents and visitors of Palm Coast and Daytona Beach have come to rely on the 5 star limo service Elegant Limousines provides to its clients. Elegant Limousines Palm Coast and Daytona Limo Service has grown into an all in one luxury transportation service. From Palm Coast and Daytona Weddings to Daytona Corporate transportation. Elegant Limousines Palm Coast and Daytona Limo service has you covered. Elegant Limousines also offers limousine service in the following cities and counties in Florida. Jacksonville Limos, St. Augustine Limos, Flagler Beach Limos, Palm Coast Limos, Ormond Beach Limos, Daytona Limos, Daytona Beach Limos,Ormond By The Sea Limos, South Daytona Limos, Port Orange Limos, New Smyrna Beach Limos, Edgewater Limos, Titusville Limos, Deland Limos, Sanford Limos, Orlando Limos, Cocoa Beach Limos, Seminole, Orange, Volusia, Brevard, Duval, Clay, St Johns, Putnam, Flagler County Limos.